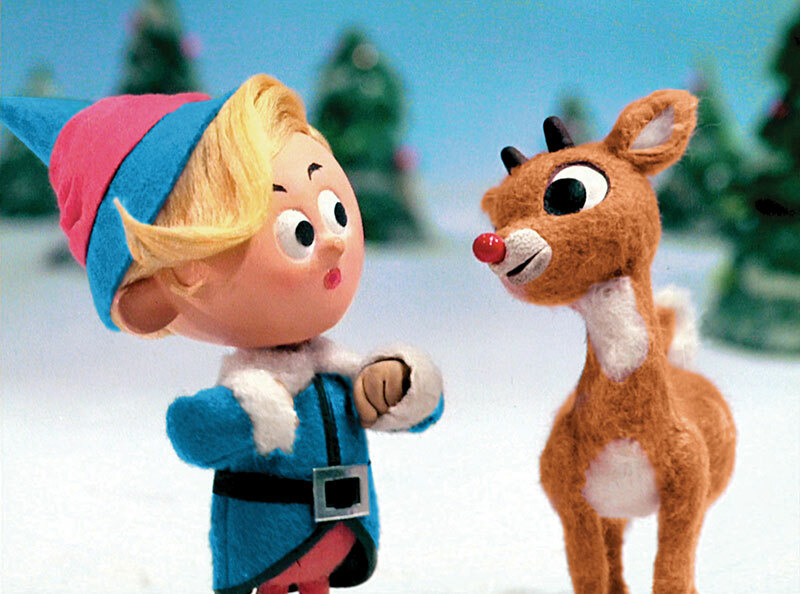 When it comes to holiday entertainment there are dozens of Christmas-themed movies and shows to choose from, but the following short list covers the traditional favorites — plus one or two that are relatively obscure today. So grab the eggnog, stoke the fire, and prepare to enjoy the annual Christmas movie marathon. Imagine, if you will, a simple banker. A man with a wife and kids and a drafty old home. A man of accounts and ledgers and a missing deposit that could spell his doom. A man now standing on a precipice overlooking the dark chasm between the life he knows and his hopes and dreams. With an angel. There have been imitators over the years but the original — putting Santa Claus on trial — is best because it has Maureen O’Hara. ’Nuff said. Army chums Bing Crosby and Danny Kaye form a musical troupe after World War II, fall in love with a pair of sisters, and save their old general’s Vermont inn from disaster. This classic tale of an heroic reindeer is poignant in its themes of rejection and redemption. The stop-motion process is a little off-putting, but it’s part of this program’s yesteryear charm. Charlie Brown is depressed by the annual over-commercialization of Christmas. Ol’ pal Linus has to step in with the appropriate Bible verse to stop his friend from buying into the craziness. All the Grinch wants is a little peace and quiet. He’ll stop at nothing to get it. His caper to steal Whoville’s Christmas is perfectly planned. What he doesn’t expect is for his heart to grow three sizes that day and make him a new Who. Who knew? This made-for-TV holiday special, based on a song recorded by Gene Autry, features the incomparable voice of Jimmy Durante in a tale about a snowman magically brought to life by children. Like the contemporary snowman in Frozen, Frosty has some things to learn about seasons. It’s a special treat for the ears to hear Durante as narrator and Jackie Vernon as the voice of Frosty. Legendary animator Chuck Jones and voice talent Mel Blanc tell the story of a cat and mouse duo that recruits Chester, a musical cricket, to help them restore the harmony of Christmas among humans. The program is based on the Newberry-winning children’s book The Cricket in Times Square. In this animated Christmas sleeper, a low-down dirty rat pens a cynical letter to Santa, who retaliates by deleting the entire town from his list. It’s up to a humble clockmaker (voiced by Joel Grey) to build a charming, chiming tower to appease the Big Guy and win him back over. What was George Lucas thinking? This is one he wishes he could take back, and that’s saying a lot. His Star Wars Holiday Special was released in November 1978 and was, despite its family-centered plot, jeered worldwide for its cheesy “variety show” feel. That said, it was notable for its introduction of bounty hunter Boba Fett and a singing Princess Leia, but not much else. Unless, of course, you count cameos by Bea Arthur, Harvey Korman, Art Carney and Jefferson Starship. Hey, it was the ’70s, man! This is a modern classic that owes much of its popularity to 1940s nostalgia. Near the end of the Depression, a young boy has his sights set on owning a Red Ryder BB gun. His cause is foiled time and again but on Christmas morning his Old Man comes through for him. Funny and gratifying.